Sony wanted to make a fun music experience that would allow a group of people to compose a song together. 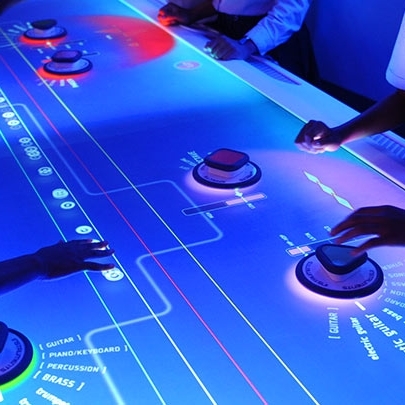 We created a large multi-user, multitouch table that produces high-fidelity music while still allowing visitors plenty of control and freedom. Our turn-key solution features three central elements: a custom IR table that contains three edge-blended projections and detects both finger touches and fiducial physical markers; an eight-channel audio output with professional MIDI voices; and a C++ program that drives an ever-flowing stream of animated graphics that represent the music. 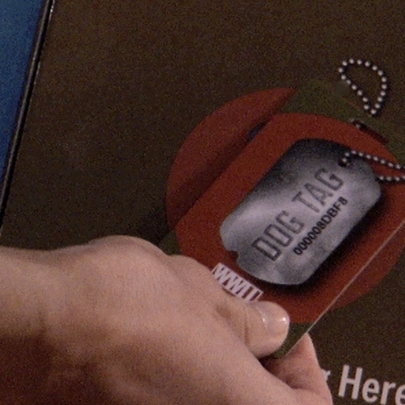 Visitors to the Museum use dog tags with RFID to access story installments at interactive stations and to save assets to view later online. The RFID system checks in at each station, which communicates through server side scripts with a backend database. The database serves content dynamically and records a visitor’s activity. In an initial registration process, we also collect visitors’ emails and feed them into a Blackbaud system. A website communicates with the onsite server to allow people at home to access assets they saved while at the museum. Finally, the museum is able to modify and add content at site-wide level via CMS. Unified Field designed a system for Graceland comprised of iBeacons, iPads and a backend database that controls all content. 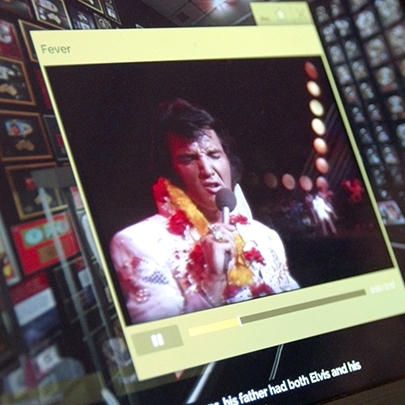 iBeacons placed throughout Graceland deliver location-based multimedia content to the iPads. WiFi failures do not affect the tour experience because the system downloads content onto the iPads. The app is designed to update content from a centralized database, intelligently downloading only the assets that have changed. We created three versions of the app: a regular tour, one for kids, and an audio-only version. The tour is available in nine languages. Comprehensive analytics track what people view most in the app.